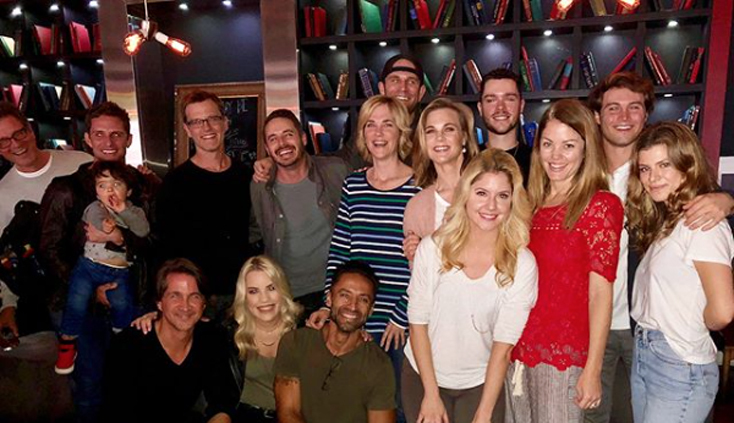 Alums from ONE LIFE TO LIVE, including Kristen Alderson (ex-Starr), her brother Eddie (ex-Matthew), Kassie DePaiva (Eve, DAYS; ex-Blair), James DePaiva (David, GH; ex-Max), Bree Williamson (ex-Jessica), Brittany Underwood (ex-Langston), Trevor St. John (ex-Todd/Victor), Gina Tognoni (Phyllis, Y&R; ex-Kelly), Kamar de los Reyes (ex-Antonio), David Fumero (ex-Cristian), Michael Easton (Finn, GH; ex-John), Tika Sumpter (ex-Layla), Josh Kelly (ex-Cutter) Brett Claywell (ex-Kyle) and John Brotherton (ex-Jared), got together for a reunion in Los Angeles. “It’s been 7 years since we all worked together, but it feels like just yesterday,” posted Underwood. Alderson shared some shots from the day. Check them out here!